The Royal Mint of Britain presents a series of collectible, limited edition 50p coins, specially designed for the London Olympic Games 2012. 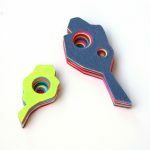 The series consists of 29 different designs, each representing a different Olympic discipline from Gymnastics to Squash and Basketball. 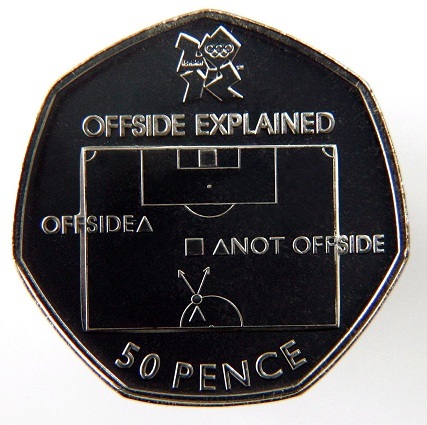 The most imaginative of all though, which is also expected to become the most popular, is the coin explaining the rule of offside in football.